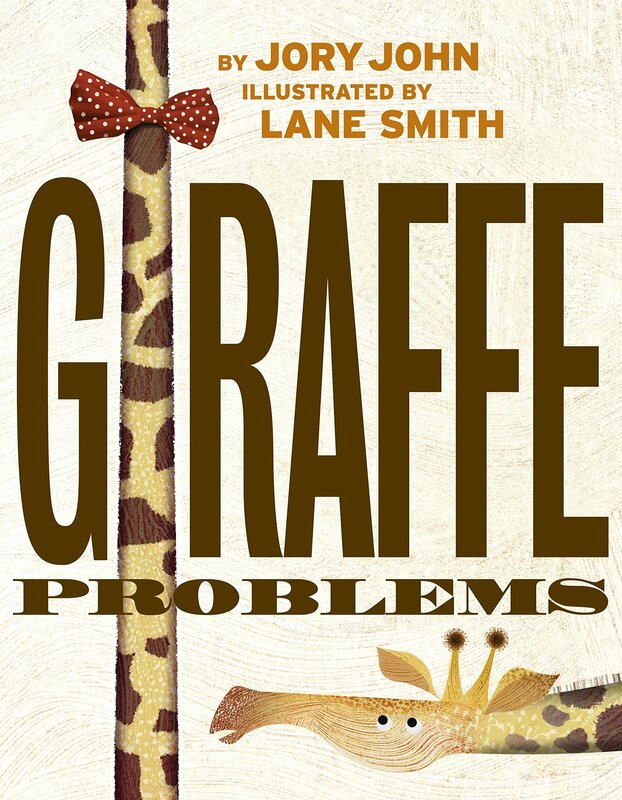 Giraffe Problems– Jory John, Illustrated by Lane Smith. Random House, 2018. 9781524772031. What did you like about the book? Edward the Giraffe is very self-conscious about his neck. He admires the necks of his fellow animals (the lion’s neck is “adorned with a glorious mane of flowing locks.”) and tries many methods to conceal or disguise his own. Then he meets Cyrus, a turtle who is jealous of what Edward can do and see with his long neck, and the two develop a beautiful friendship. The writing is absolutely lovely, and the muted illustrations are adorable. It’s sophisticated and funny and sweet, and a great lesson about self-confidence and body image. Anything you didn’t like about it? No! Should we (librarians/readers) put this on the top of our “to read” piles? Yes! Reviewer’s Name, Library (or school), City and State: Leigh King, Lincoln St. Elementary School, Northborough, Mass. This entry was posted in *Starred Review, Book Review and tagged Random House. Bookmark the permalink.